This is just a cheeky glimpse at my new bespoke collection of jewellery i am still working on the lookbook and the website i am really sorry this is taking me for ever, i am rather slow at the moment at doing things. 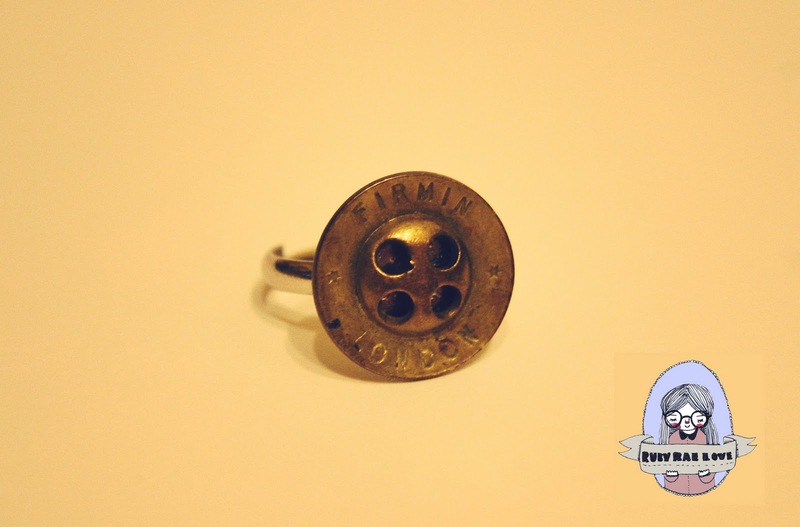 I hope you like the Brass firmin ring one off antique £6.00. The setting up of the shop is a tad bit confusing i have to admit but i ma getting there. A massive hello to my new followers where did you all come from? I hope you are all enjoying my blog. I am not launching my shop just yet i want it to be perfect sorry again. Things i will be selling are perfect for the summer, head-dresses, rings, necklaces, bracelets all made from recycled bits and bobs. Previous Post feathers, leather and stones. are you settled on a name now? Have you thought about Rubyrae & Love? You're lucky to be doing this little jewellery endeavour, I'd love to have the time and methods. Looking forward to the shop! Do you still have this? Is it for sale!? EEEEEK! My name is FIRMIN! I really want this, really really!